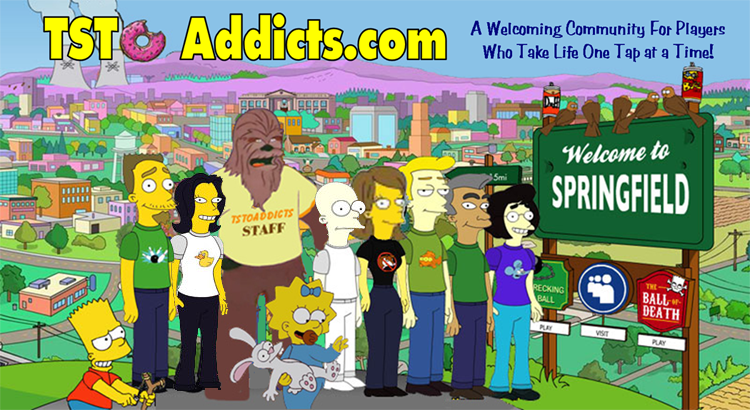 ← Quahog 500 Week 3 Addicts Area!!! It looks like we’re going to be burning some more rubber as Peter is still aiming for a podium finish in Week 3 of the Quahog 500 event. But will we be able to join him as winners? It’s hard to say at this time but here’s this weeks event overview to help give you a good start. 5th September 2018 at 3PM PDT. The event area is customisable, you can place items you unlock or buy in it. Street Racer Bonnie (Character Costume): 260 Clams. Separate tasks to always drop 1 of either Short Shorts or Red Heels. Can also be sent on Races. Flag Girl Lois (Character Costume): You’ll be directed to create her in Al Harrington’s at Pt 2 of the main Questline. Can be sent on Races. 40 Clam reward if you unlock her within 7 days. Finish Line – Free. If you’ve not placed it before then you’ll be directed to place this at Part 1 of the Side Questline. You need this building to take part in Redline Races. Drift Car – 260 Drops 1 Pawtucket Sponsorship every 20 hours. You’ll also see option to unlock the premium Nitro Pump in the store, as well as in the event area. Redline Races work pretty much the same way as the previous weeks Races, only entering this race requires Nitro rather than Gas. Basically to start a race tap on the Finish Line in the event area and you will see the Redline Race Screen. You will see above who can compete in Races, the cost to enter and the potential prizes if you win or lose. But before you can Race you’ll need to start collecting Nitro, here’s how you can get them. Once you have Nitro, you’ll need 5 for each Race, you can choose which characters to send on your Race team. You need at least 1 from Pit Crew Chris, Flag Girl Lois and Street Racer Bonnie. But be aware sending more than one will increase your odds of successful drops. Once you’ve selected your Racers just hit Let’s Go, and the Race will run like a task for 3 hours. I’m going be honest the UI for racing is poor and doesn’t make clear what you can win, but I’ve simplified it below. Also remember you don’t claim your prize until you click Vroom, so if you win your race click this as soon as you can as if you’re game crashes and needs reload you could end up losing the race instead. How many Characters do I send: 1 is enough but 2 is better and 3 is even better. The combination you send increases the chance of winning although the results can be random. At the end of the 3 hour race you’ll see your rewards and these will be from the following. These are where you’ll get your Nitro to use to Redline Race. It’s the same system as the Gas Cans. When you start the week you will see 2 Nitro Pumps ready to unlock in the event area. The pump with the silver padlock is free to unlock, the pump with the gold padlock is premium and will cost you 150 Clams to unlock to use it. Once you have unlocked a pump you can start to get Nitro. The freemium and premium pumps generate the same 3 Nitro every 4hrs, but the premium Pump is an Always drop. To get your Nitro simply tap the padlock to unlock the Pump. You will see the Pump with a low Nitro icon above it, simply tap this to start filling your Nitro then wait 4 hours for them to be ready. You’ll know they are ready to collect when the Nitro appears above the Pump. So basically if you only use th freemium pump you’ll get a common chance of 3 Nitro every 4 hours, if you pay to unlock the premium pump you’ll be able to get 3 Nitro guaranteed every 4 hours. Here is where you can exchange your Products for Trophies to purchases prizes in the Stock Car Garage. Once you have a Nail you will find Sports Cars driving on your sidewalks. Then move the Nail until the green target circle is on a Sports Car, you’ll know it’s in target as it will turn purple, then simply hit the check mark to clear the Sports Car. 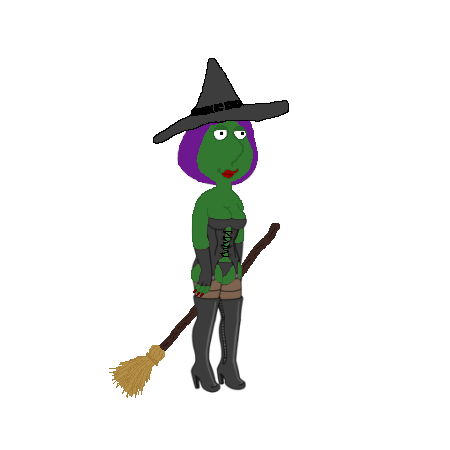 This entry was posted in Special Event and tagged Family Guy Addicts The Quest For Stuff, Family Guy Game, Family Guy Tips and Tricks, Flag Girl Lois, Foreign Competition, Quahog 500, Street Racer Bonnie, Trophies. Bookmark the permalink. Am I the only one losing more racing than winning when I take both Chris and Bonnie to both race to try and get the flag bikinis for Lois? Well, a little while after I wrote this post, I did win another race…so I have 6 flag bikinis left to get, and I do believe that I will get her and the free clams before time expires…you would just think that with 2 characters, it would get much easier to win. I wonder why they made this one tougher. Is it actually possible to win the redline races with only one character, as it is going to make it next to impossible to get Lois as you need 18 flag bikinis and they only drop from winning races. Just found out that you get 3 flag bikinis for winning each race but still going to be hard to win 6 races to get the bonus gems for Lois. So, TC went and eliminated spark plugs for trophies at the first starting line without warning for the first two race options. Cheap shot. I needed only one more and now I have 62 useless spark plugs and have to start over with the blower thing for the older races. Plus, it takes a very long time to load the game on iOS now. Whateves. wow, I thought I was bad at around 5 minutes on android. Also, winning races is hard! Unbelievable how little time I actually spend playing compared with waiting for it to load. Since this event started, my game has not been connecting to my Facebook friend’s Quahogs. I have notified support three times. Is this happening to anyone else? Yes happening to many of us. week 3 started on time still getting random game crashing makes setting up things a pain but other then that enjoying the event.